Lightweight and utterly gorgeous this headdress weighs around 220g. 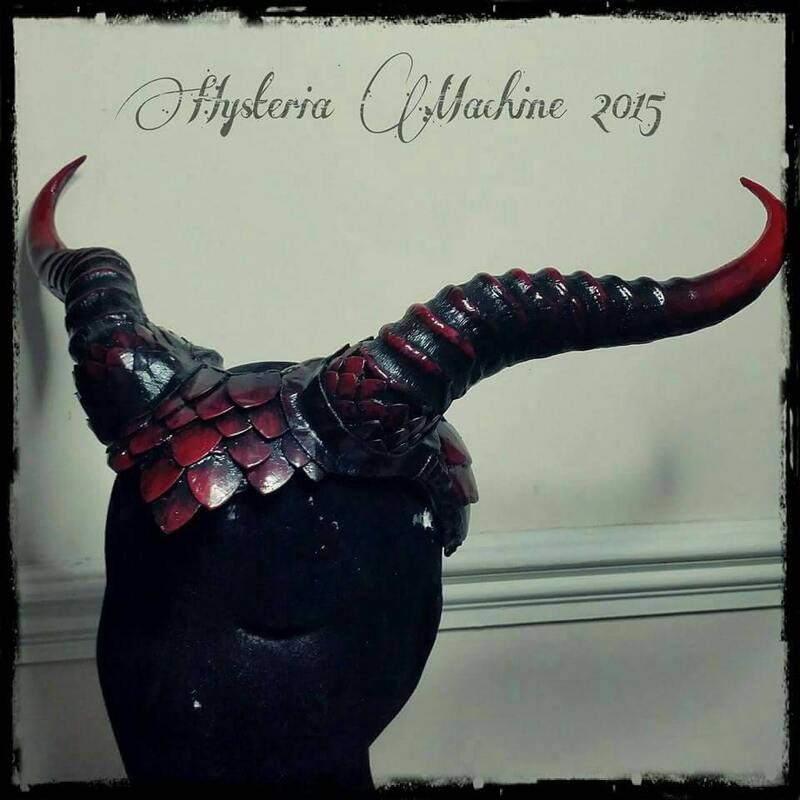 The horns are made from resin and a rigid foam and then covered in glorious metal scales before being coated in metal leaf(or painted) and aged. Each piece is handmade to order and I am always open to customisation so if you want certain details added don't hesitate to let me know. If you pick the custom option please let me know your choices. As everything is made from scratch the sky is the limit as far as colour mixes go.